The Academic Festival Overture, Op. 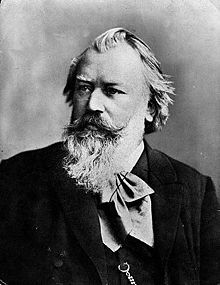 80 (1879) is an orchestral work by Johannes Brahms. On 11 March 1879, the University of Breslau in Poland awarded Brahms an honorary doctorate. He thanked them with this Overture. Brahms conducted the first performance in Breslau in 1881. The piece is written in modified sonata form for the largest orchestra among Brahms's 14 orchestral works. The music is based on four student drinking songs. Woodstra, Chris, et al. 2005. All Music Guide to Classical Music. All Music Guide, LLC. pp. 189–190. ISBN 0-87930-865-6.